…it’s CHRISTMAS DECORATING DAY over here!! Yes, I’m one of those people who like to decorate early. It’s a lot of work, so I want to enjoy it as long as possible. Speaking of which, I asked Andrew to take off work today to help me, so I better post my one yummy Thanksgiving recipe and skedaddle…I have garland to hang! This is my spin on a traditional Green Bean Casserole…but with chipotle and bacon. Yum! 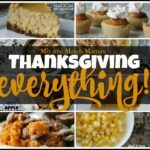 You are going to want to add this to your Thanksgiving Day table! Sending you so much love today from my home to yours! Lightly spray a 9×13 baking dish with cooking spray, set aside. In a skillet over medium-high heat, saute your chopped onion and bacon in a drizzle of EVOO with a big pinch of both salt and pepper. Once the onion is tender and the bacon a little crispy, add in two chopped chipotle peppers from your can along with a tablespoon of the sauce. Reduce heat to low and simmer just a minute while you assemble everything else. In a mixing bowl, add in your green beans along with your cream of mushroom soup and milk. Next, add in your onion and bacon mixture and toss everything together. Pour this into your prepared baking dish and bake uncovered for 30 minutes. After 30 minutes, carefully add your French fried onions over the top of the green beans and pop it back in the oven for another 5 to 7 minutes. Remove and serve immediately. This recipe was not too spicy for my kiddos! It was very flavorful without a ton of heat. If you want yours to have an extra kick, add in another chipotle pepper. From my Thanksgiving table to yours, enjoy! Can’t wait to see all the pics of the decorations. So festive! I’ll have to try and make the green bean casserole, looks so delicious! Oh, yum!! 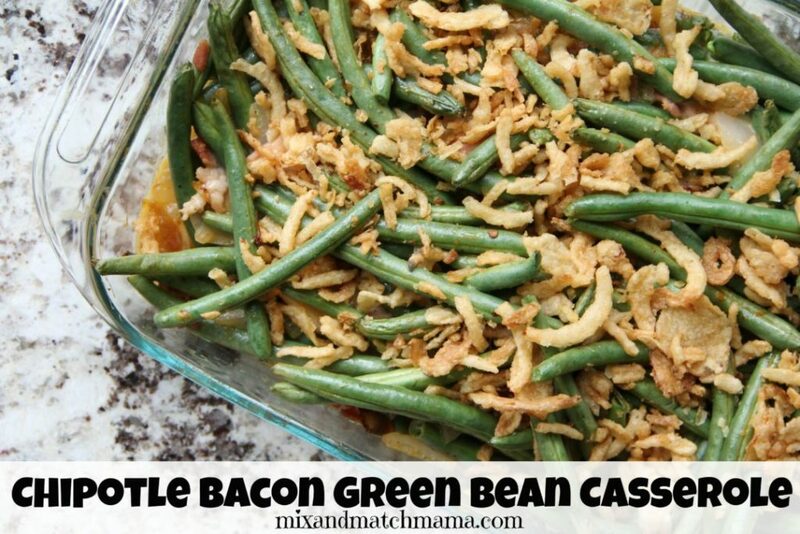 i love this spin on green bean casserole! This looks so good! Thanks for sharing ! Your recipes are always so yummy. Yay!!! We just moved so I’m trying to get the basics settled, but then the tree is going up! I never would have thought to add chipotle to my green bean casserole. Yum! Can’t wait to try it. 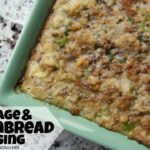 Green bean casserole is one of the only casseroles I like! Going to try this one! I am always excited to see your holiday decorations. Take LOTS Of pictures! Happy Christmas Decorating Day! 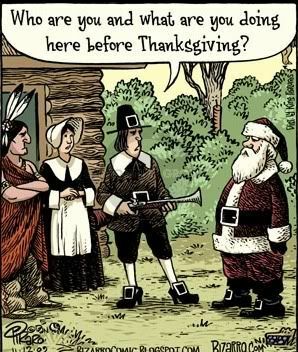 ;) I always enjoy your holiday posts. Playing the Jazz Christmas station right now! We started our Christmas decorating last night. I usually put up two big trees (one in family room and playroom) and one small tree (daughter’s room) so I like to get a head start so once December gets here I can enjoy it. HAPPY DECORATING!!!!!!!!!! Non-related, but maybe really… Ha! do you also decorate outside this early for Christmas? And how long after Christmas do you normally leave decorations up? Just curious!! Have a great day! We don’t put our outside lights up until right before Thanksgiving. And we take everything down on the 26th :). Wow! I canot believe you convinced your husband to take off work to decorate! Lol Mine would think I am crazy and tell me that is what weekends are for. When you get a chance, can you post a photo of the green bean casserole after its been cooked? I’d like to see how they look after you’ve added the wet ingredients. Thanks. Happy Decorating! The photo is after it’s been cooked :). Is there anything to substitute the mushroom soup with? Thank you! You can omit it and add another 1/2 cup of milk. This is ALWAYS one of my favorite sides!! Sometimes I’ll add bacon or ham and sprinkle the edges with cheese. But I’ve never thought to add chipotle. My daughters are going to LOVE this twist!